The Taiwan International Green Industry Show (TiGiS) is the most professional industry exhibition about clean energy, environmental protection, water technology, and urban planning in Taiwan. The event will be held on 18-20 October at Taipei Nangang Exhibition Center, in Hall 1. Exhibitions will begin at 10.00 each day and will run until 18.00 on 18-19 October. There is a slightly earlier finish of 17.00 on 20 October. Taiwan External Trade Development Council (TAITRA) and Expo Union Corporation are key organisers of the event. During the three-day exhibition, a presentation of several green energy topics will take place. Many companies use the event to exhibit their ideas and products surrounding alternative / renewable energy, including wind (off-grid and in-grid WTGS) and biomass energy, solarpower, hydropower generation systems, and photovoltaic power. Other important and more specific areas of the green energy industry are showcased. 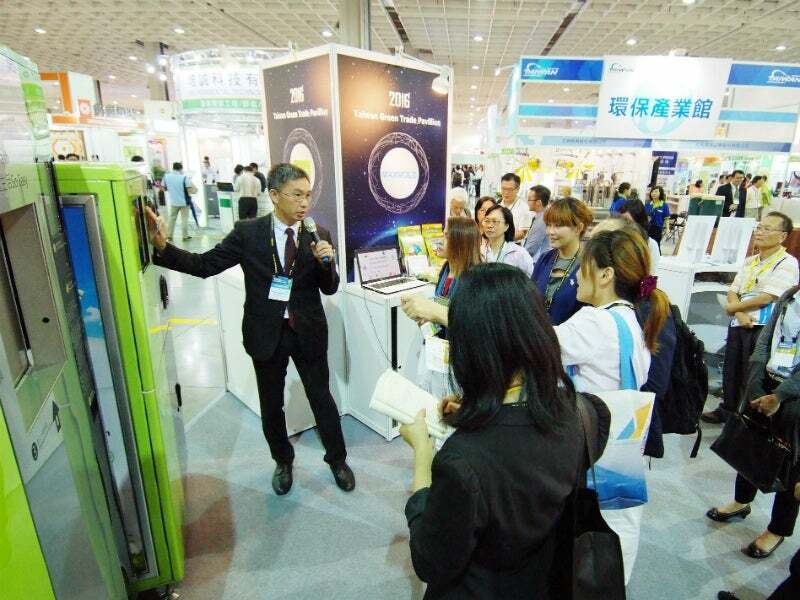 For example, power storage systems such as photovoltaic, power, and smart storage batteries will be displayed, while fuel cells, electric converters, transformers, and accessories will also be among the products exhibited. TiGiS features demonstrations on several types of energy saving products that companies have designed and produced. The audience will be able to find out key information surrounding LED lighting, heat pump systems, smart fuel saving vehicles, and electrical transport. Green energy companies will be sharing their ideas concerning smart grids and related topics such as electricity, energy devices and infrastructure, as well as IT / communication devices and infrastructure. At the event, companies offer advice on current environmental protection issues and have a platform for different types of equipment that promote a stronger systems network. Products to be discussed at the show this year are water, wastewater treatment and recycling equipment, as well as sludge treatment and pollution prevention instruments. Attendees will be provided with information on environmental protection control instrumentation, environmental protection label products, organic merchandise, and plants factory and accessories / equipment. The show presents all attendees with water resource services information, and the current water treatment and recycling systems available to the green energy industry today. Examples of water recycling products that will make an appearance at the show are drainage and sewage systems, rain recycling tools, and water saving label devices. Companies currently carrying out water conservation projects and services in the energy industry will appear at the show. TiGiS focuses on urban planning as part of its aim to advise its customers of ways contemporary infrastructure and technology can help create green cities. The exhibition will introduce several areas of green building such as total solution, construction technology, roof and wall-greening, garbage disposal, and composting. In other areas, companies will provide informative discussions on internet and ICT systems used for green urban planning. Any customers interested in existing green transportation systems and accessories will benefit from visiting the exhibiting companies that produce integrated transport structures, mass rapid transit tools, and traffic management systems. There will be discussions on the infrastructure of recharging for electric car applications, as well as hybrid vehicles and accessories. Consulting management and design service businesses at the exhibition that advise industries on the careful planning of energy projects, networks and sustainable public infrastructure is another key exhibition at the show. A meeting area is available at the event. A post show report indicated that 8,465 trade visitors attended last year, which included 836 overseas visitors from 47 countries / regions. Approximately 43% of the overseas visitors were from China, and 16% visited from Japan. As a whole, there were 14,140 visitors that attended the show. To register or find out more about the event, please use the enquiry form on this page. TiGiS (the Taiwan International Green Industry Show) is the showplace of Taiwan's green technology manufacturing expertise and creative innovation. The Taiwan International Green Industry Show (TiGiS) is the most professional, industry exhibition about clean energy, environmental protection, water technology, and urban planning in Taiwan.